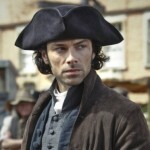 Home » Actors/Actresses » Drama » First video of ‘Poldark’ re-do set for June premiere on PBS. The rebel of Cornwall rides again! 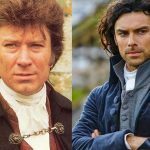 Poldark, one of the most popular British period dramas of all-time is getting a 21st century make-over this Summer on PBS. No date has been set as of yet for a BBC One transmission in the UK. Set in late 18th century Cornwall and based on the ‘Poldark’ novels by Winston Graham, the original series ran from 1975-1977 and brilliantly starred Robin Ellis as Captain Ross Poldark, a British Army officer who returns home from the American Revolutionary War only to find that his fiancée, Elizabeth Chynoweth, having believed him dead, is about to marry his cousin, Francis Poldark. Let’s look back at 1975…. You know the story from here, Ross ends up marrying his servant, Demelza, although never really losing his passion for Elizabeth. Ross then tries to restore his own fortunes by reopening one of the family’s tin mines and, ultimately, takes the side of the underclass against the ruthless behavior of his enemies, the greedy Warleggan clan including Ross’ arch-enemy, George Warleggan, who ultimately marries Elizabeth after the death of Francis. In both 1975 and 2015, this was, and is, period drama soap opera at its finest. Fast forward 40 years. 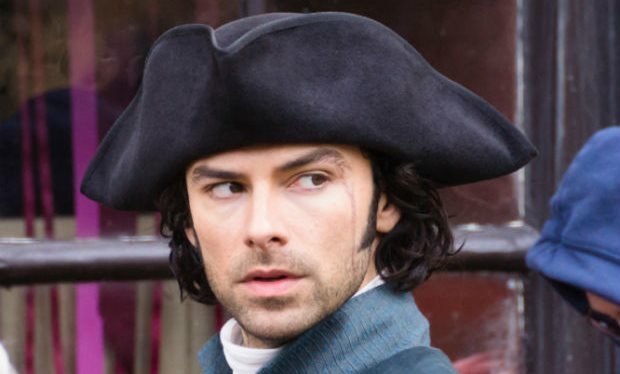 The 2015 re-boot, which is scheduled for this June on PBS, stars Aidan Turner (Being Human, The Hobbit) as Captain Ross Poldark, Eleanor Tomlinson (The White Queen, Death Comes to Pemberley) as Demelza and Heida Reed as Elizabeth. While a portion of the original version was shot on location in the beautiful coastal countryside of Cornwall, including Land’s End, Porthcurno, Pendeen, Trewellard and Lamorna, and much of the 2015 version filming also took place in Cornwall, including locations in and around Ardensawah Farm and the cliffs above the nearby Porthgwarra beach, locations outside Cornwall had to be found such as Corsham High Street, Wiltshire, and Chavenage House in Gloucestershire for logistical reasons. 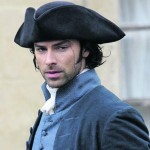 Are you ready for some Poldark? As it is 2015, the newest six-part incarnation of the series comes with a promise from producers to be a bit more ‘steamy’ given the current plan for post-watershed viewing…which, basically, translates to ‘put the kids to bed, Mommy and Daddy are busy for the next six weeks’ viewing. 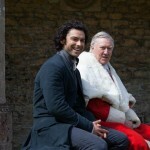 ‘Poldark’ – 6 reasons to look forward to June 21 on PBS!